(AP) The movement by U.S. food corporations toward more humane treatment of animals experienced a whopper of a shift Wednesday when Burger King (BKC) announced that all of its eggs and pork will come from cage-free chickens and pigs by 2017. The decision by the world's second-biggest fast-food restaurant raises the bar for other companies seeking to appeal to the rising consumer demand for more humanely produced fare. "So many tens of thousands of animals will now be in better living conditions," said Wayne Pacelle, president of the Humane Society of the United States, which has been pushing Burger King and other corporations to consider animal welfare in purchasing policies. 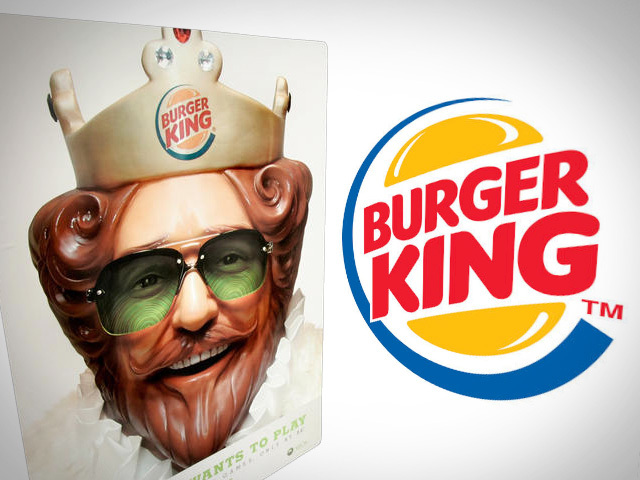 "Numerically this is significant because Burger King is such a big purchaser of these products." The decision by Burger King, which uses hundreds of millions of eggs and tens of millions of pounds of pork annually, could represent a game-change in the egg and pork supply business as a huge new market has opened up for humanely raised food animals. Already 9 percent of the company's eggs and 20 percent of its pork are cage-free. The Miami-based company steadily has been increasing its use of cage-free eggs and pork as the industry has become better able to meet demand, said Jonathan Fitzpatrick, chief brand and operations officer. He said the decision is part of the company's social responsibility policy. "We believe this decision will allow us to leverage our purchasing power to ensure the appropriate and proper treatment of animals by our vendors and suppliers," he said. Earlier this year, McDonalds (MCD) and Wendy's (WEN) announced that they have asked their pork suppliers to outline their plans for elimination of gestation crates without setting a timetable. The issue of the treatment of pigs raised for pork has recently developed. This year, Smithfield Farms and Hormel committed to ending the use of gestation crates by 2017. "This is an issue that just four to five months ago was not on the food industry's radar," said Paul Shapiro, vice president for farm animal protection at HSUS. "Now it's firmly cemented into the mainstream in a way that I think few people would have imagined. Last month, the pork industry's trade magazine editorialized for an end to the practice saying "on the issue of gestation-sow stalls, at least, it's increasingly apparent that you will lose the battle." HSUS has been pushing for more than a decade for large-scale purchasers of animal products to ensure that they are raised humanely. The organization owns stock in 52 companies that use animal products so that it can attend shareholder meetings and submit proposals for improved animal welfare policy. It also has used undercover operations to show the conditions some food animals endure. Conventionally raised eggs come from hens confined in battery cages that give them roughly the same footprint as an 8½ by 11 sheet of paper. Most pork comes from sows that are confined during their four-month pregnancies in narrow crates. "For every cage-free egg or piece of bacon from a gestation-free pork system that Burger King sells, animals have been spared lifelong confinement in a cage so small they can barely even move," said Matthew Prescott, the HSUS food policy director. In 2007 Burger King became the first major fast-food restaurant chain to incorporate animal welfare issues into its purchasing policies when it began sourcing at least some of its pork and eggs from cage-free suppliers. The hens are still housed in a barn, but they have room to roam and perches and nesting boxes. While some companies have been responding to consumer demand by incorporating some percentages of cage-free eggs into their purchase orders, the landslide passage by voters in 2008 of California's Proposition 2, which will ban chicken cages and gestation crates by 2015, caused buyers and suppliers nationwide to take notice. Since then studies have shown that shoppers are willing to pay more for products they believe are produced to higher animal protection standards. Since then Wal-Mart and Costco have transitioned their private-label eggs to 100 percent cage-free. Unilever, which uses 350 million eggs a year in its Hellmann's mayonnaise brand, is switching to 100 percent cage-free, and others such as Sonic, Subway, Ruby Tuesday, Kraft Food and ConAgra Foods are incorporating some percentage of cage-free eggs in their products. Egg and pork producers have argued that easing confinement standards for animals raises production costs and makes those who adjust their practices less competitive. That prompted the egg industry's largest trade association, the United Egg Producers, to team with HSUS in seeking federal legislation this year that would double the size of the cages in which 90 percent of the nation's 280 million laying hens are confined. Industry officials who have argued against cage-free eggs say hens are safer and eggs are less likely to be diseased in a cage system of hen housing. "Our attitude is our producers believe in consumer choice and if that's what their consumers want to buy, they'll produce cage-free eggs for the marketplace provided the customer is willing to pay the additional cost," said Gene Gregory, president of the United Egg Producers. Some studies have shown that raising hens cage-free adds 1-cent to the cost of each egg. It's unclear how much more it will cost to raise pork outside of gestation cages.